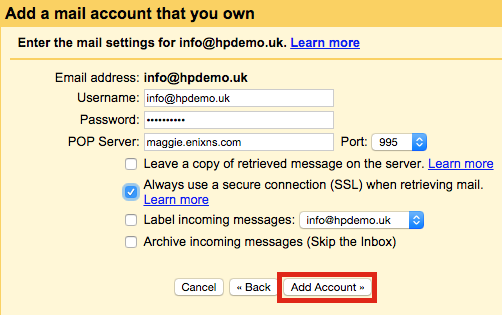 Google Mail gives you the ability to add your cPanel email account into Gmail's webmail. 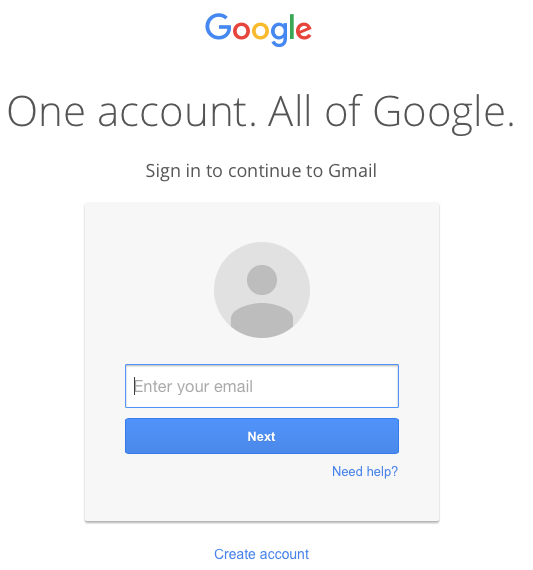 By doing this you can conveniently receive emails using Gmail or any other service where the email account is set up. You should find that you are in your email accounts management section. If you scroll down, you should find the email account record for the one which you are looking to set up on Gmail. Against that record, you should see an option shown as 'Configure Mail Client' which you need to select. 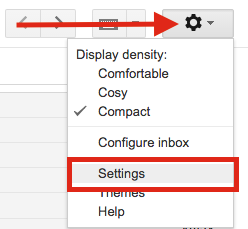 Scrolling down to the 'Manual Settings' heading, you will locate the manual settings required for the email account. It is recommended to use the 'Secure SSL/TLS Settings' as highlighted. However, you can also set up 'Non-SSL Settings' depending on your preference. Please make a note of the details of your choice as they will be used further down. Select the cog icon in the top right position and head into 'Settings'. Select 'Accounts and Import' from the top menu. 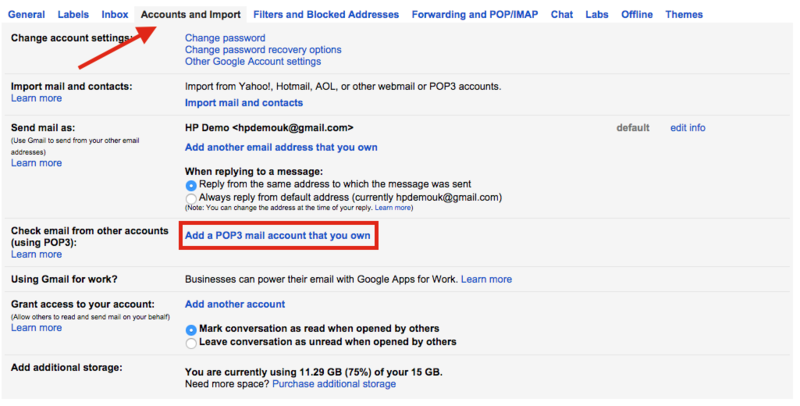 Scan down to 'Check mail from other accounts (using POP3)' and then select 'Add a POP3 mail account you own'. Type in the email account email address that you would like to add. Select 'Next Step' to continue. 'Username': Your email account email address. 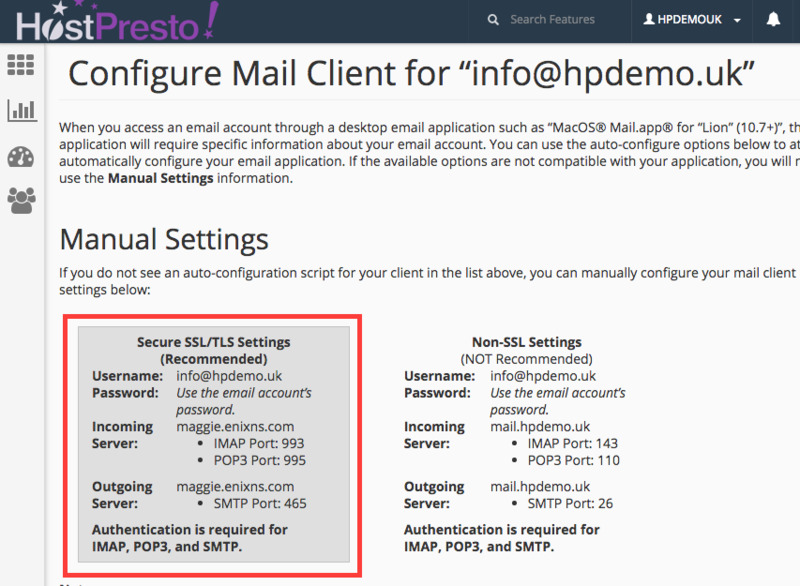 'POP3 Server': Your email account incoming server name. 'Port': The incoming server port. This could be 995 with SSL, or 110 with no SSL. Select 'Add Account' to continue. Once the email account has been account added, you can choose whether you would like to also send mail from the account. If you would like to, choose the 'Yes' option. Select 'Next Step' to continue. Enter your 'Name'. This will be shown on any emails that you send. 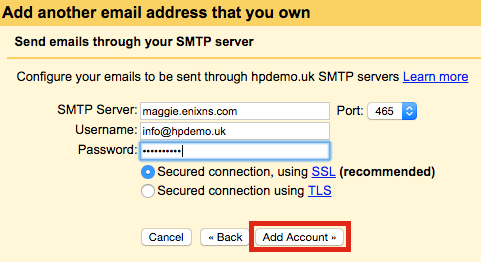 'SMTP server': Your email account outgoing server name. 'Port': The outgoing server port. 465 with SSL, or 26 without. This process will now send you an email with a code to confirm that you have authorised the setup for the account in Gmail. 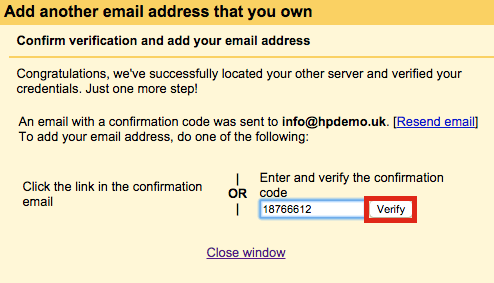 Check your email account emails for the verification code. Since you already added the account in Gmail, the code will be delivered to Gmail inbox. Copy or note down the code and type it in the respective section. Select 'Verify' to to complete the setup. Your email has now been successfully imported into Gmail. You can now start receiving new emails and send emails if you chose to do that option.